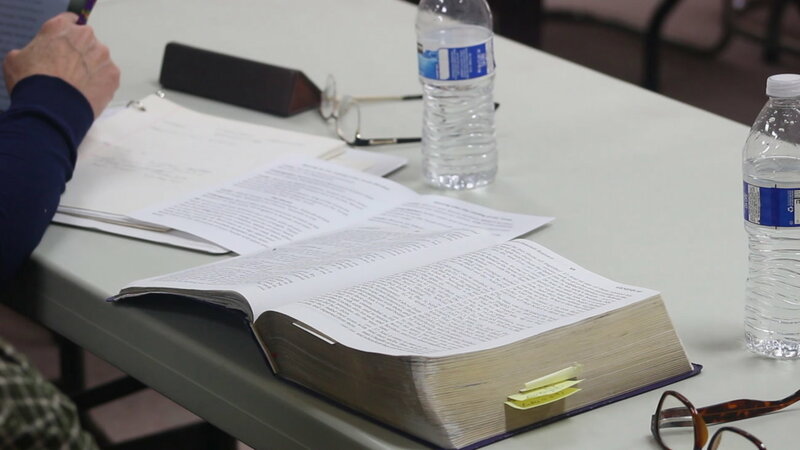 ST. GEORGE – Set in a little building behind the Good Shepherd Presbyterian Church in St. George, about a dozen people gather each Saturday to hear readings from both Jewish and Christian holy writ. They believe in upholding the laws and principles of Judaism while also espousing Jesus Christ, referred to as Yeshua, as the promised Messiah. 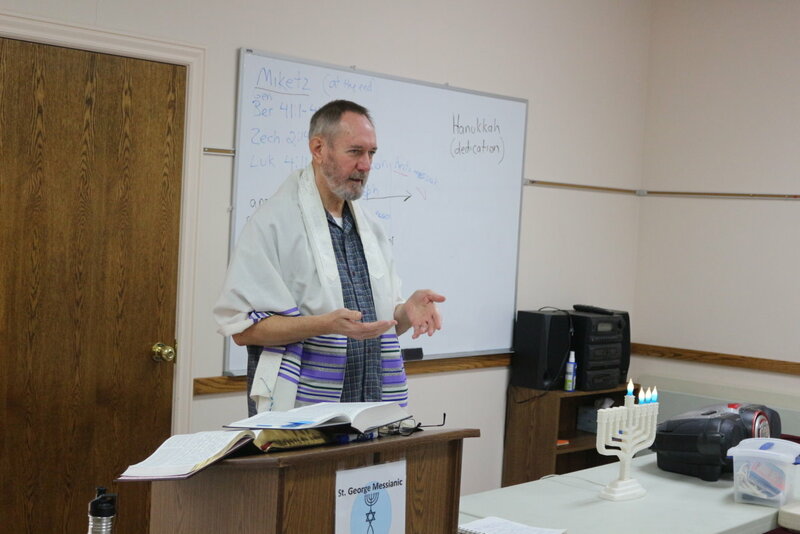 For four hours, the St. George Messianic Fellowship meets to hear group leader Jon Thompson read selections from the Torah, Judaism’s holy text, along with apostolic writings from the New Testament. While not Jewish by heritage, Thompson, who was once a member of The Church of Jesus Christ of Latter-day Saints, came across the faith movement sometimes referred to as Messianic Judaism 20 years ago while living in Oregon. Through his own study of the Bible, Thompson said he found references to God’s commanding the Jews in the Old Testament to follow his ways in perpetuity. However, popular Christian teachings hold that the crucifixion and subsequent resurrection of Christ did away with the old laws observed by the Jews up to that time. Thompson was a part of a Messianic congregation for many years in Oregon before moving to St. George where none had yet existed. That changed in mid-2017 with the help of Al Milligan. Milligan said felt something was missing from his own faith until meeting Thompson. 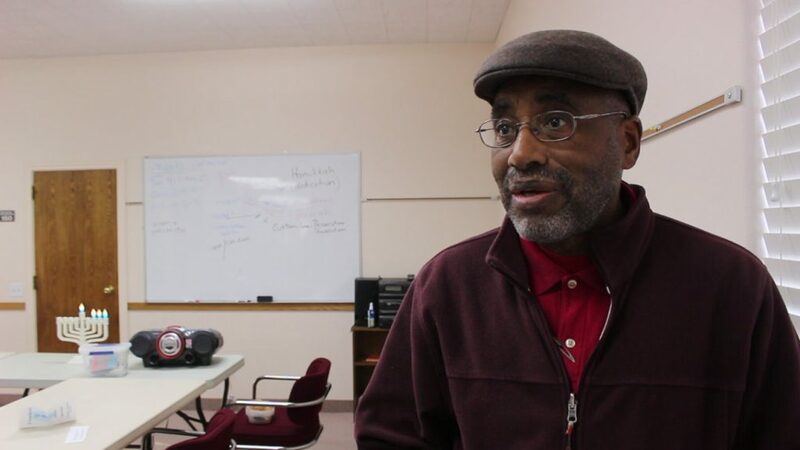 Before then, Milligan said his family had faithfully attended Christian churches for 40 years. However, the heavy emphasis the churches placed on the New Testament while seemingly ignoring the Old Testament bothered him. Milligan felt like he was getting only part of the overall story and that his own relationship with God was incomplete because of it. “We found what was missing after coming here and meeting Jon,” Milligan said. Together the two men would found the St. George Messianic Fellowship in June. “There was no place for people who were trying to keep God’s commandments and who believe Yeshua is the Messiah could gather in fellowship and learn the Torah, so we started one,” Thompson said. While Thompson primarily reads from the Torah and associated works, Milligan shares information aimed at promoting spiritual and physical health. In contrast to the void he felt while attending Christian churches, Milligan said he feels he is now building on the foundation of faith previously denied him, and that is helping him draw closer to God. “Now I really get to know who (God) is,” he said. For those interested into looking into the group, Milligan said it’s a wonderful opportunity to expand one’s faith and learning, and gain a thorough education on the Bible. The group has grown to around a dozen attendees through word of mouth, Thompson said. The general reception to the group has also been “excellent,” he said. One of the people drawn by word of mouth was Dolly Renee Stoner, who said she learned about the group through a friend. Having studied Judaism for three years, Stoner said she enjoys learning more about the Jewish roots of Christianity as well, a sentiment also shared by Milligan. The concept of Messianic Judaism isn’t new, Thompson said, yet largely went unnoticed until a resurgence in the 1960s. The St. George Messianic Fellowship meets each Saturday from 11 a.m. to 3 p.m. at the Church Offices & Learning Center building behind the Good Shepherd Presbyterian Church, 611 N. 2450 East, St. George. Additional information about the St. George Messianic Fellowship can be found on its website.